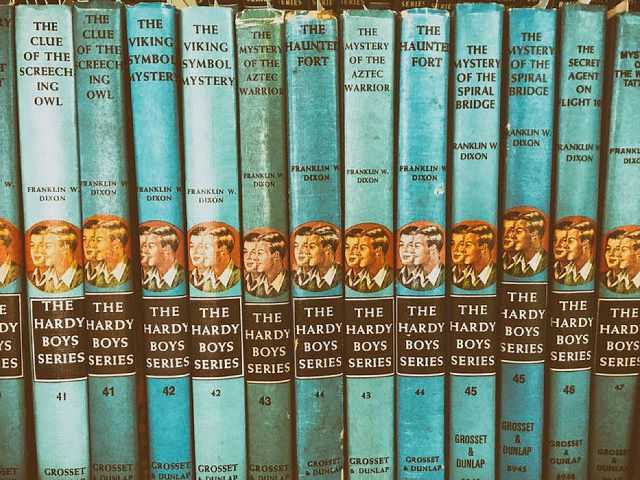 My first books were the Hardy Boys and even jumped over to my sisters Nancy Drew to keep reading. 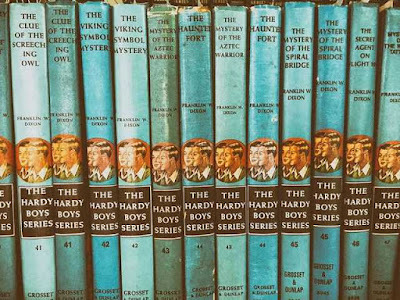 I eventually graduated to a book of the month club with books like Lewis and Clark, Hudson Bay Company and Guadalcanal Diary. After the Navy it was Eastern Religion, Buckminister Fuller, and Krishnamurti. After reading all their books I switched over to Science Fiction until Sci-Fi books became less interesting. I did squeak 1984, Firehouse 451, Catch 22, Ken Kesey and even Bukowski (gag) in there somewhere. In the '80's I started to read Computer Tech books and continued until I retired in 2005. Novell Server, MS NT Server, MS Mail Server and all the problems Y2K caused to computers. Just way too much good info to be reading about dead Presidents. And there is the Internet which we all know holds just about everything. Plus my eyes are getting tired maybe from looking at computer screens for the last 30 years.